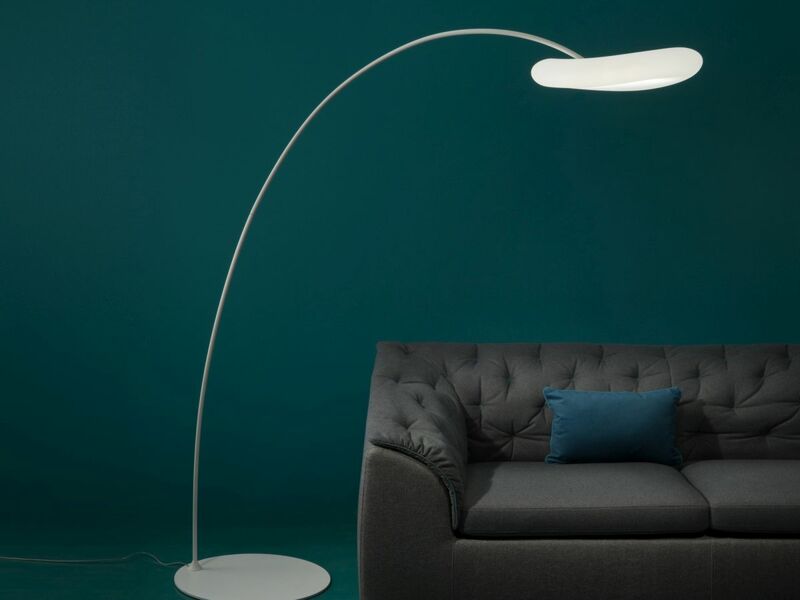 Arched floor lamps represent a big branch from the totality of designs. 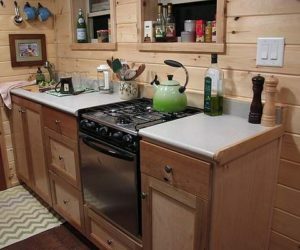 They enjoy a lot of popularity thanks to their versatility and the large number of different models and designs to choose from. 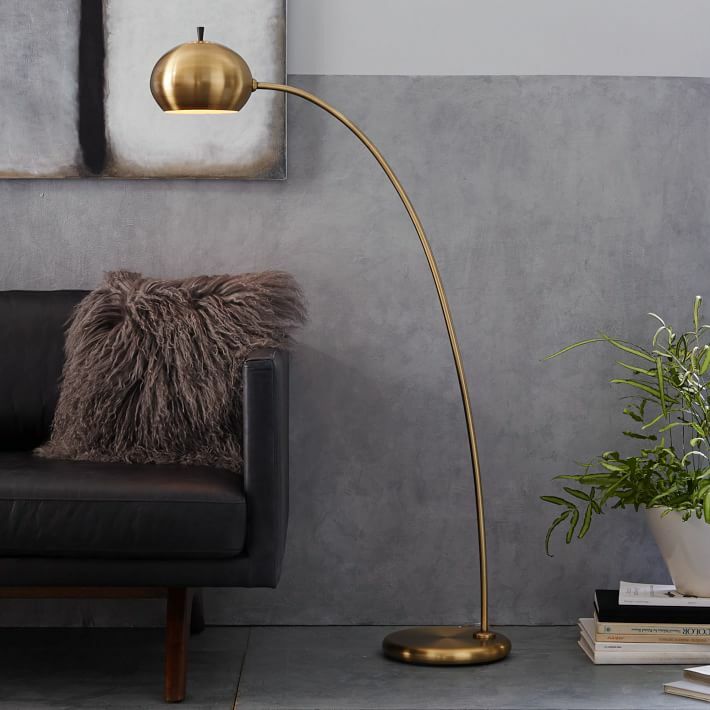 An arc floor lamp can fit perfectly in a reading corner but can also look just as beautiful next to the living room sofa or in a home office. 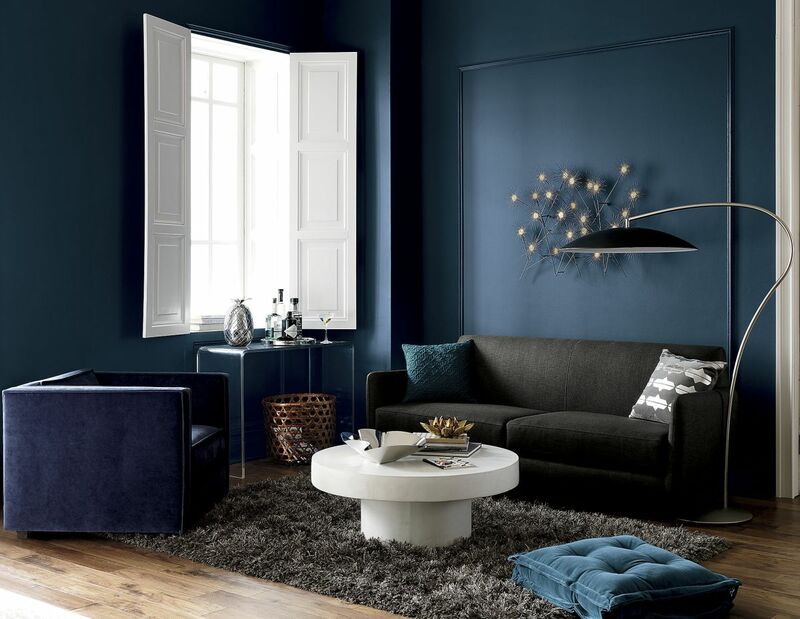 Have a look at the stylish designs we’ve put together and find the best one for the space you have in mind. 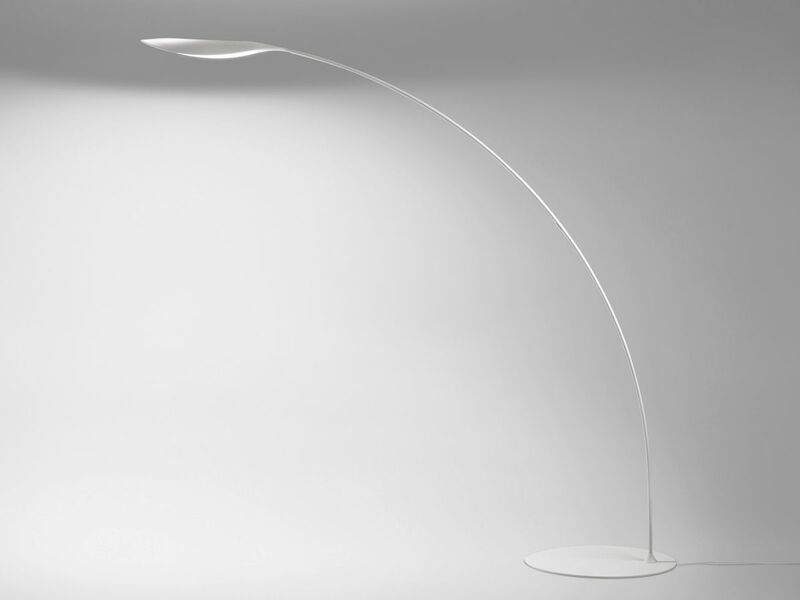 Folia is a sleek and beautiful floor lamp designed by Manuel Remeggio in 2009. 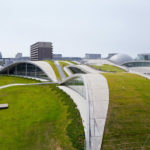 Its design is inspired by plants and has a carbon body and a collapsible tube made of soft copper. 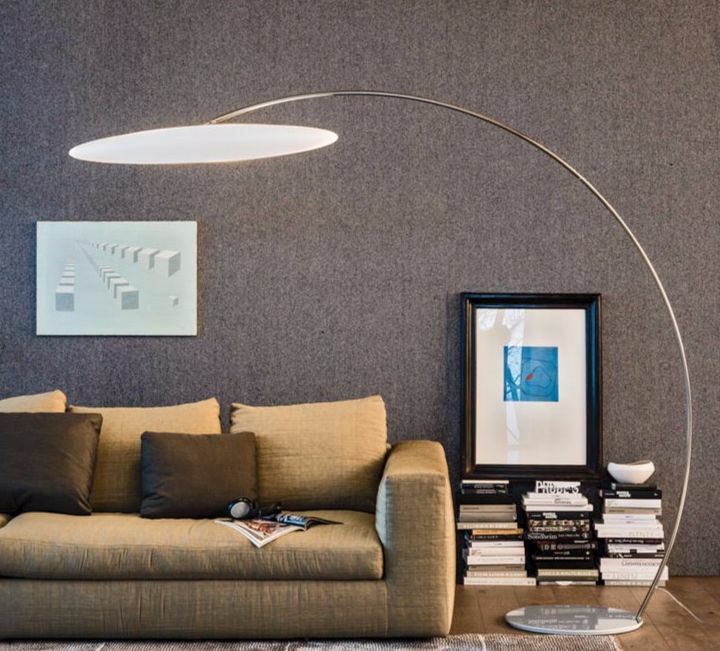 This ensures a soft and delicate curve allowing this arched floor lamp to look stylish and to be practical thanks to its flexible design that allows the user to adjust the angle at which the light falls. 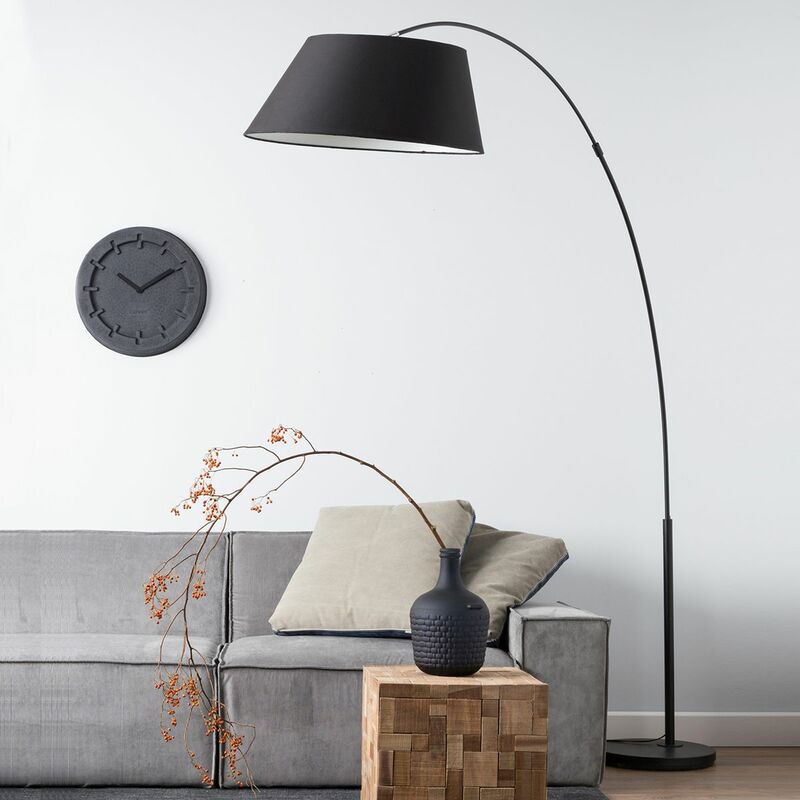 The classical design of the Arc Floor Lamp is complemented by subtle elements hinting at a more modern and eye-catching look. The lamp has an asymmetrical shade and a tall and sleek body. 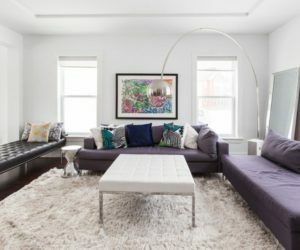 It’s the type of floor lamp that can look beautiful in a lot of different contexts such as above the living room coffee table or in the corner of the bedroom. 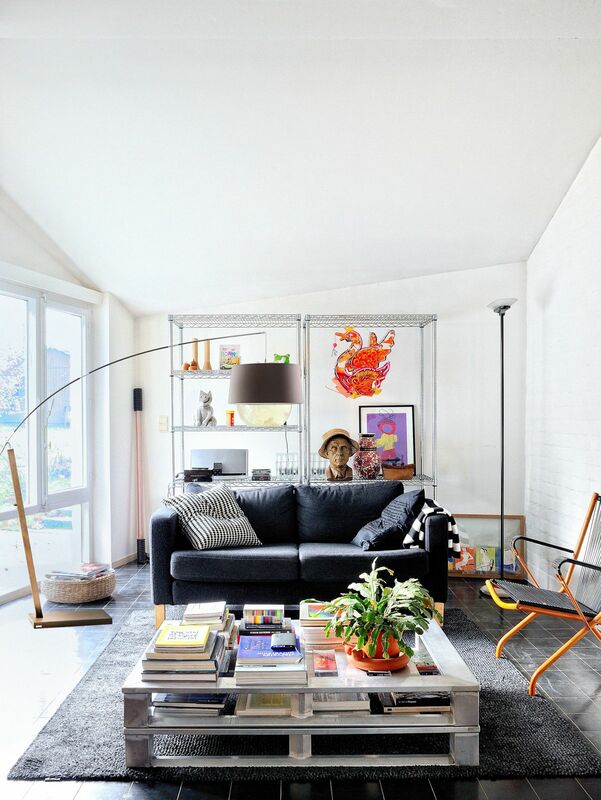 Other designs such as that of the London floor lamp bring a retro touch to the décor. The lampshade has a semi-spherical shape and comes in three different colors. It’s made of aluminium and is attached to a base which can be made of chromed or weathered brass or of copper. 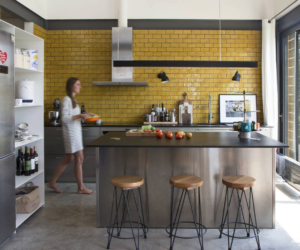 The shade can be black, putty gray or yellow. 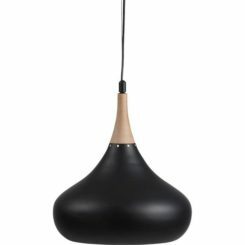 The body of the lamp was designed in such a way that the shade hangs above the solid metal base. Mr. Magoo is the floor lamp that you want for your contemporary interior in order to give it a serene and lightweight appearance. The lamp was designed by Mirco Crosatto and has a sculptural and ethereal look with a shade that has an organic form. 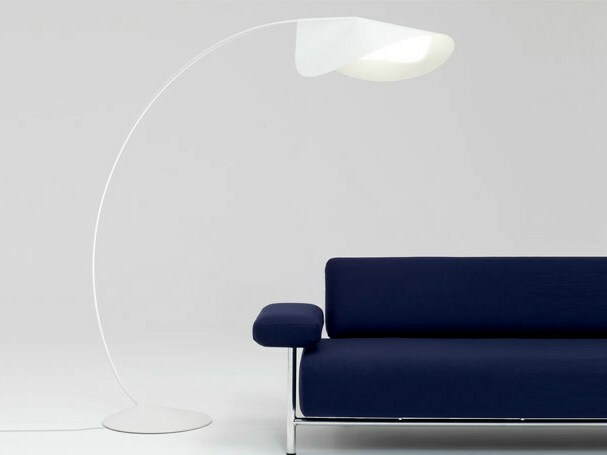 The lamp has a dimmer and the polyethylene shade rests on a white-coated metal frame. 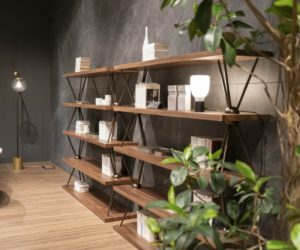 The design of the L002 lamp is quite interesting, although it’s also very simple. This is a lamp designed by Alberto Basaglia and Natalia Rota Nodari in 2011. The solid base holds an elegant arched body that allows the entire lamp to look a little bit like a swan. The body can either be white or black while the shade is available in a selection of five colors. 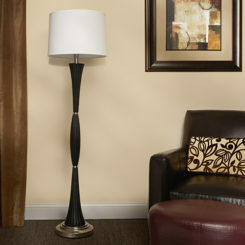 Not all arched floor lamps feature only delicate curves. 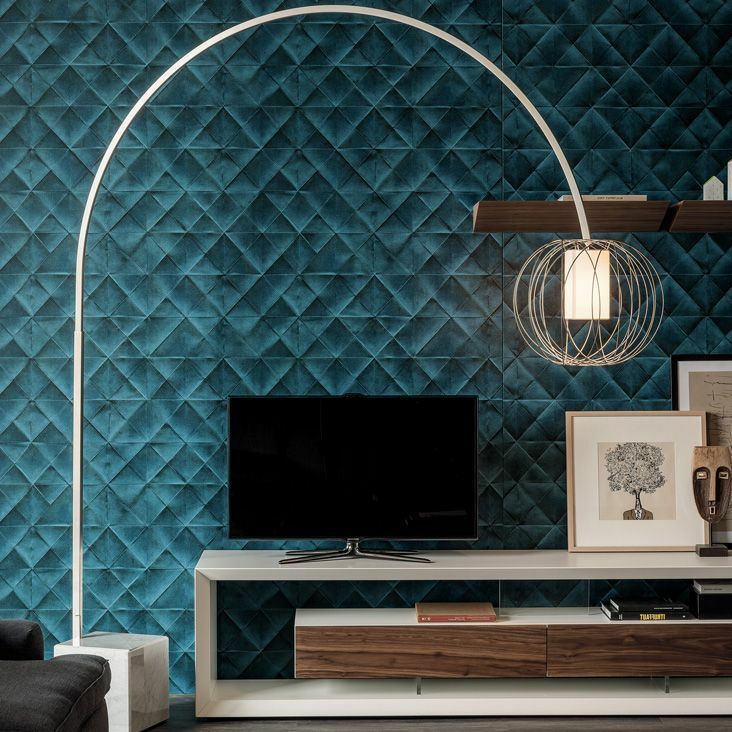 Some models such as the Dexter Arc floor lamp combine these with clean lines and straight angles for an interesting visual contrast. 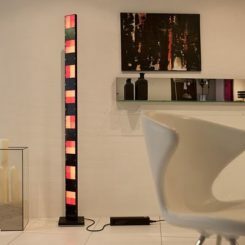 As you can see, the lamp has a square base that holds a telescopic body which arches and becomes thinner towards the top. The shade is quite big, compared to other models and has a circular shape. 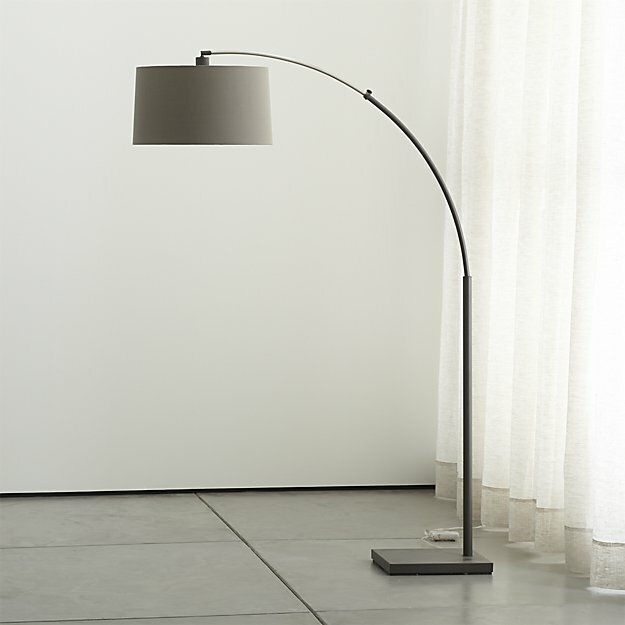 Although not as big as other lamps, the Petite Arc metal floor lamp is impressive in other ways. 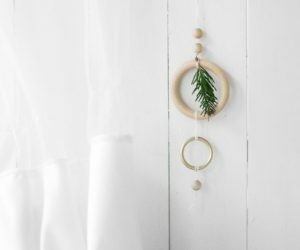 Its design was inspired by elements specific to the 1960s and, because of its reduced dimensions, is very versatile and perfect for small rooms. The lamp has a metal base and body and a matching shade that rotates side-to-side. 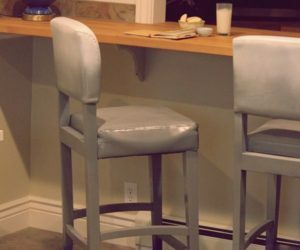 Use it to illuminate sofas, tables and reading corners without sacrificing a lot of floor space. The Big Bow floor lamp was designed to look romantic and to look lightweight and fresh. 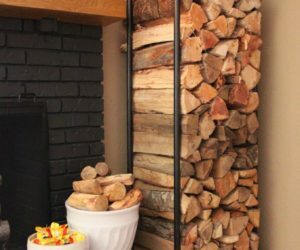 This makes it a beautiful addition to large living rooms and dining areas. The lamp has a marble base that gives it a solid but also elegant look. The lampshade has a circular shape and a smooth and shiny surface. This is the white version. Lightness, on the other hand, doesn’t also define the Woobia wooden floor lamp. This is a lamp with a lot of character. 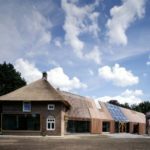 Despite its robust design, it was designed to be mobile which makes it a lot more versatile than anticipated. 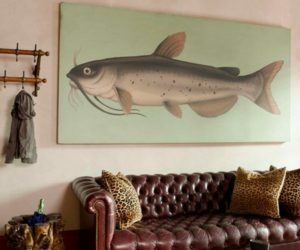 The unique characteristics of its design allow it to be included in lounges, living rooms, bedrooms and lots of other spaces, including home offices. 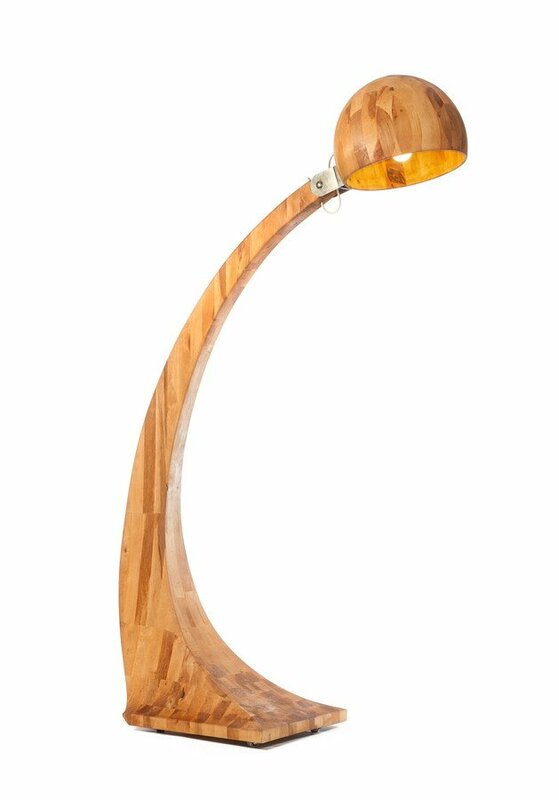 The lamp is almost entirely made of wood with a few steel elements. 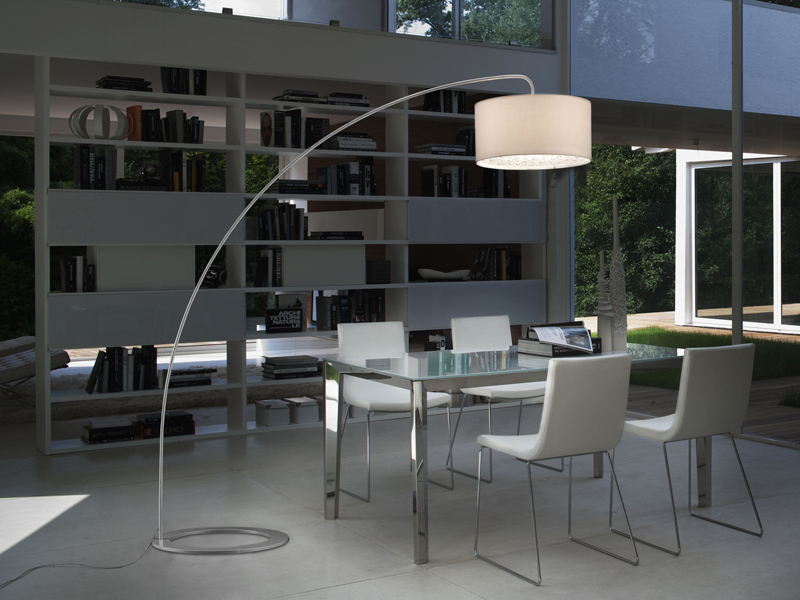 The futuristic design of the Astra Arc floor lamp is the creation of Piero De Longhi for Cattelan Italia. The lamp has a metal base and body and a white polyethylene shade. The base and arched tube are made of chromed steel. The lamp was designed to offer diffuse light and to look sleek and futuristic, becoming ideal for modern and contemporary interiors. 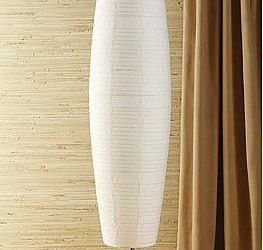 Even though there are so many different designs to choose from for floor lamps, few of them are actually adjustable and flexible. A good example showing these characteristics is the L1007 lamp offered by Hind Rabii. 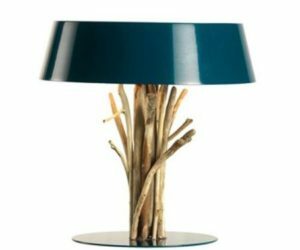 The body of the lamp is made of wood and steel and several different shades are available. This allows each lamp to nicely integrate into the context, matching its surroundings. Nest is a very interesting floor lamp. It was designed by Onch studio! and has a polished stainless steel base and stem. The interesting part, however, is the fact that the stem is covered in nautical rope that’s woven around it. The lampshade also has a rope cozy. 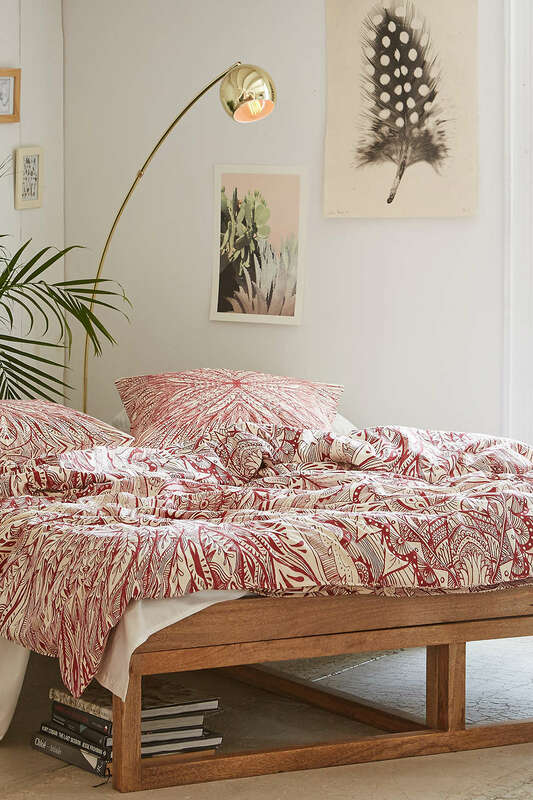 These unusual design details make the lamp stand out, giving it a casual and warm look, perfect for spaces such as the bedroom or the living room. Designed by Monica Forster in 2010, the Circle Lamp is a versatile accessory for sophisticated interiors with modern and contemporary decors. 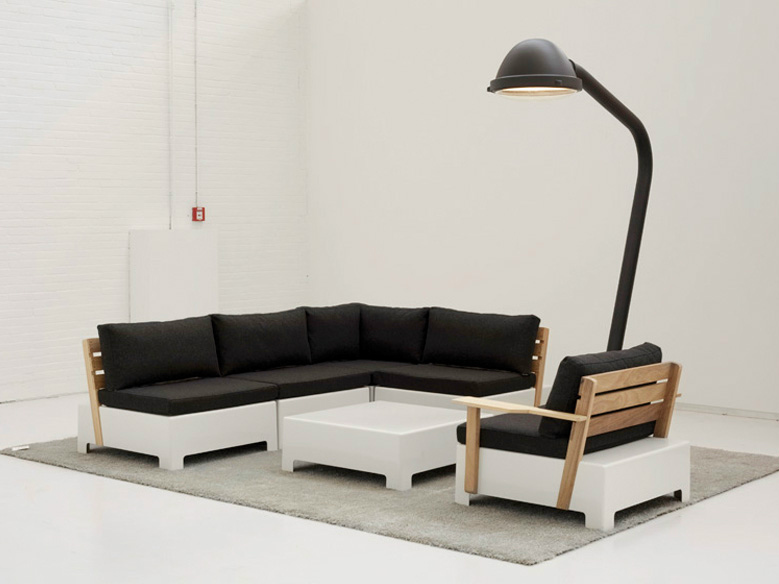 The lamp was designed for conversation areas, work spaces and lounge areas in general. Its design is sleek and sophisticated and can suit both private spaces as well as public areas. The lampshade has an interesting shape, a little bit similar to a vintage hat. The base and arc are made of steel while the shade is made of aluminium. 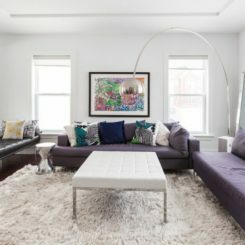 Large or oversized floor lamps are often preferred in open floor lamps, living rooms or on terraces. 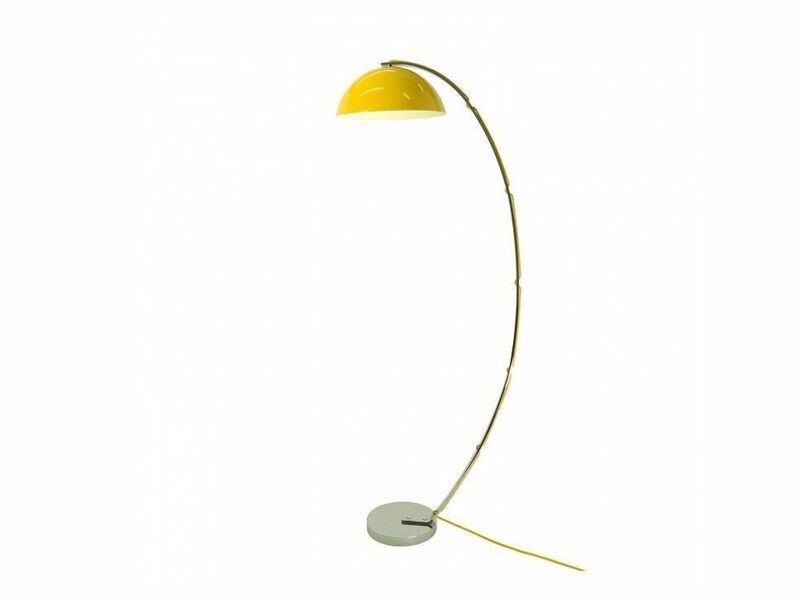 A good option is this case would be the Ginger arc lamp manufactured by Lucente. It has a base and stem made of metal and a fabric lampshade. The colors available for the shade include ivory, red and black. 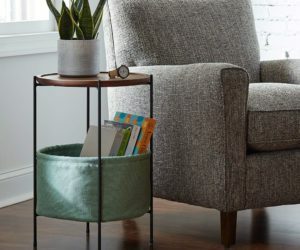 The base is stylish, featuring a flat circular form designed to look inconspicuous and to incommode as little as possible. 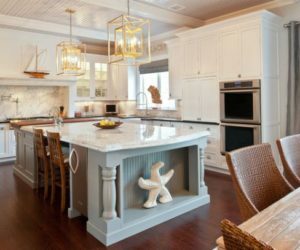 It’s easy to look at this light fixture as more than a simple floor lamp. 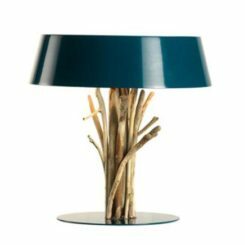 Its design is not only elegant but also eye-catching, allowing the lamp to look like a modern sculpture. 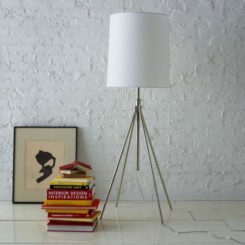 This is the Atomic arc floor lamp. 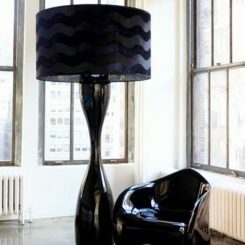 It has a matte black shade and a nickel plated base with a curved contour meant to emphasize the unusual shape and angle. 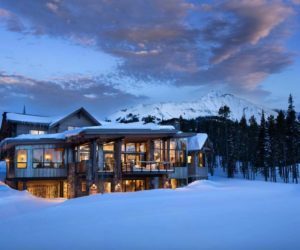 The design is a beautiful play of proportions and shapes. 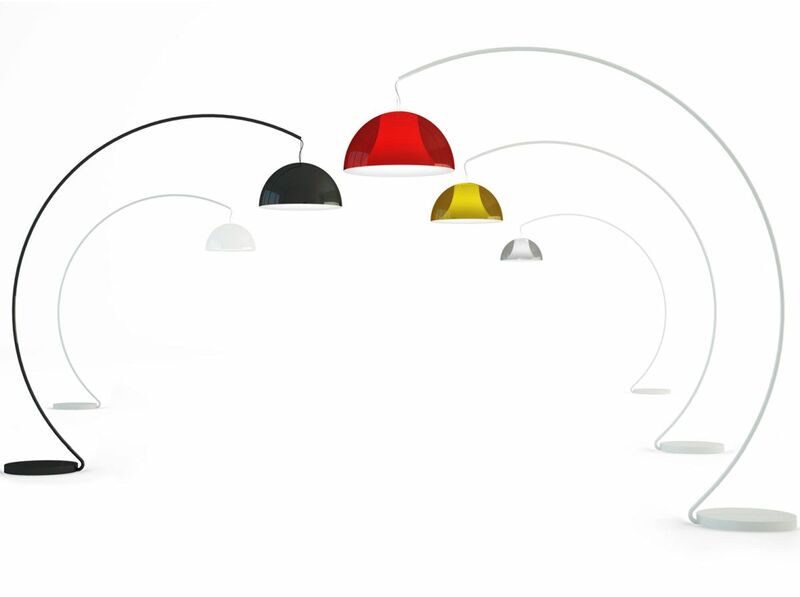 Looking at the Gumball Arc floor lamp, it’s impossible not to notice its curious look. 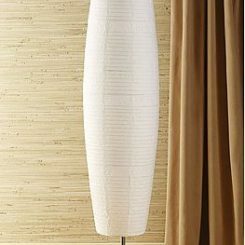 Seeing an arched floor lamp with a shade as small as this one is a bit unusual. Further more, the lamp also impresses with the simplicity of its design. It has a study but small and sleek base and a step and shade made of metal, with an elegant golden finish. 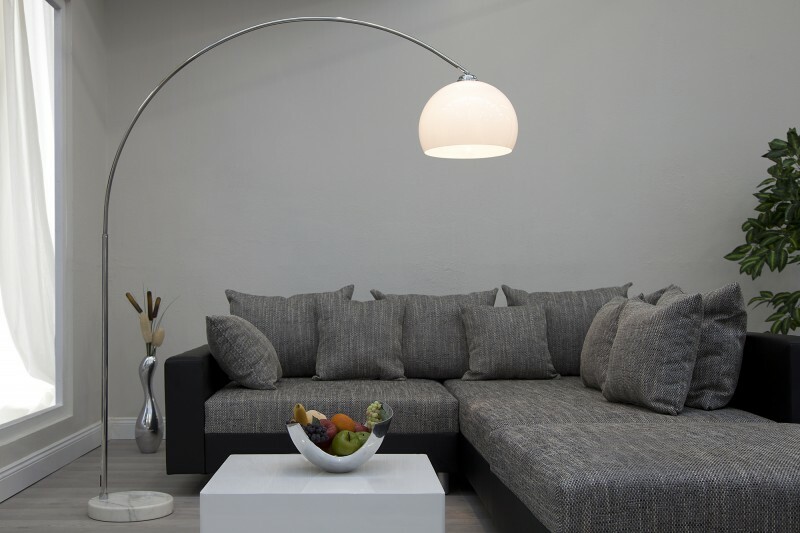 The Meryl Arc Floor Lamp is a beautiful accessory designed for modern and contemporary interiors. It has a marble base just like another elegant piece we’ve looked at earlier but the interesting part about this particular design is the lampshade. 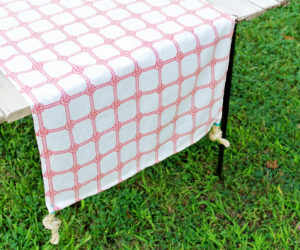 It has a two-tier structure and is covered in white cotton blend. It coordinates beautifully with the satin nickel-finished arched stem. Another very beautiful arched lamp is the Midday. 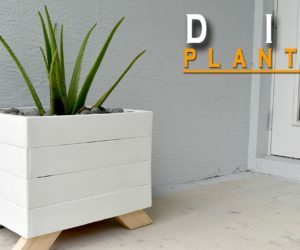 Its design is simple, stylish and modern, featuring a play of shapes and a contrast of heavy and lightweight elements. 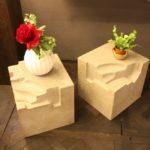 The base is a solid block of marble and the frame is perfectly curved, holding a lampshade made of nickel painted steel and ivory fabric. The marble base can either be white or black, depending on the preferences. 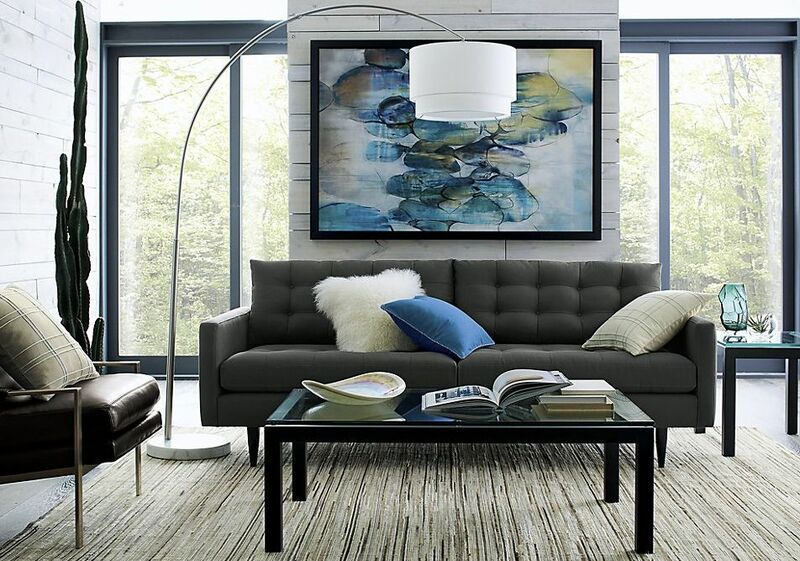 Not all floor lamp aim at a lightweight and delicate look. Some, like the Outsider, impress with their solid and heavy design. This lamp is definitely imposing. 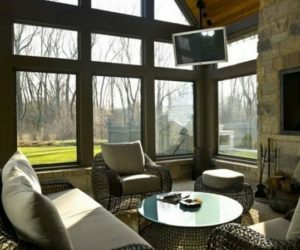 It was designed for both indoor and outdoor use and is a robust piece with a sleek pedestal and an arched frame made of powder-coated steel. The shade is made of cast aluminium. 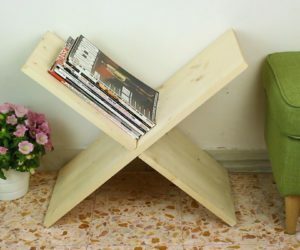 The base can be attached to the floor for more stability.